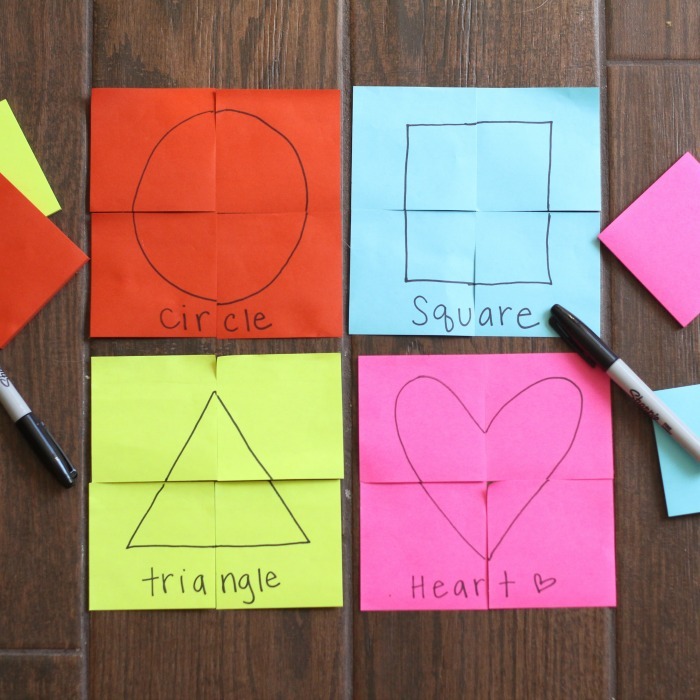 Post-it note puzzles will be your new favorite way to play! 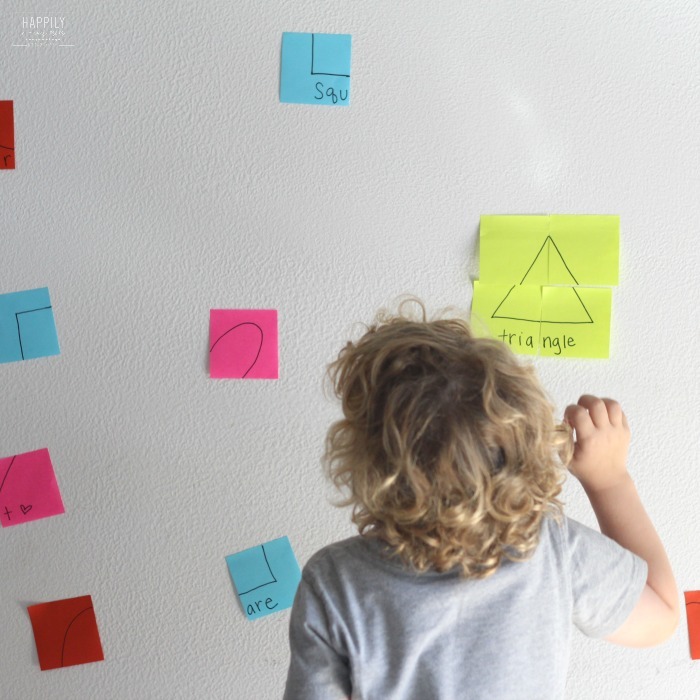 And, strengthens kid’s fine motor muscles and concentration. All because of a few desk supplies. 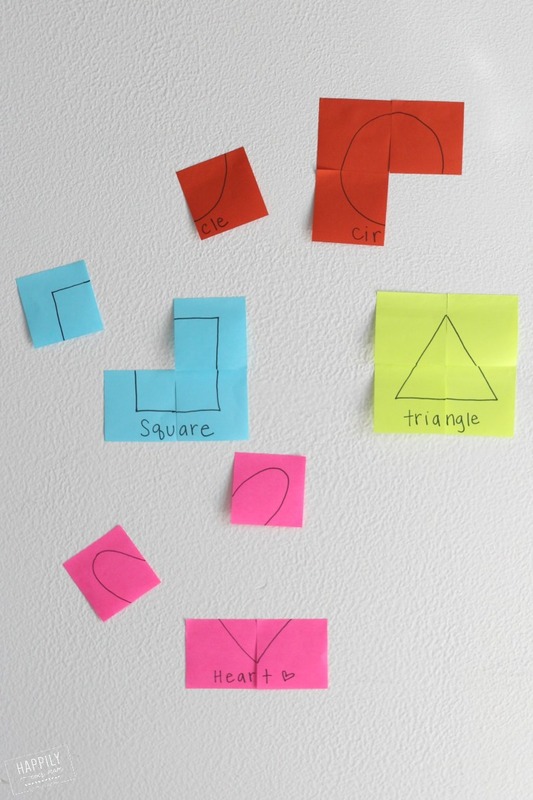 Here’s how you can make these fun puzzles at home! 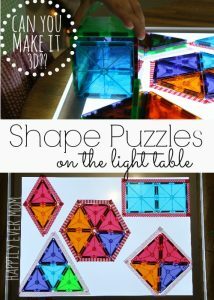 Psst… be sure to see at the end how you can make this more challenging for kids once they master doing these puzzles. I first shared this activity over on Instagram. With three busy kids, I LOVE to share all of our daily activities there because it’s quick and easy. You can see all of them HERE. This activity is perfect for 3-5-year-olds and I’ve ranked the cleanup and set up: EASY. I like to rank every activity over on Instagram so that you know what you’re in for when you try these activities out at home. I used a 4-grid model because it was easier to draw, but you could do 6 or even 8 square grid if you have a design that will work. 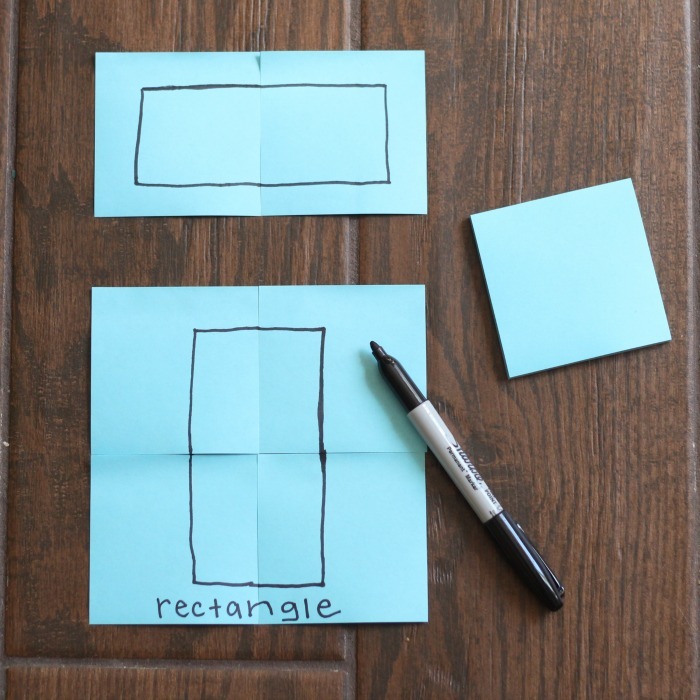 Put four post-it notes together in a square (I’m also showing how to do a 2-grid for toddlers). Draw your shape (or you could do letters). 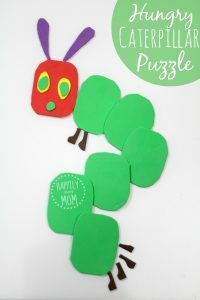 Put a few of the pieces together on the wall with one or two out of place so that your child “sees” that it’s a puzzle. 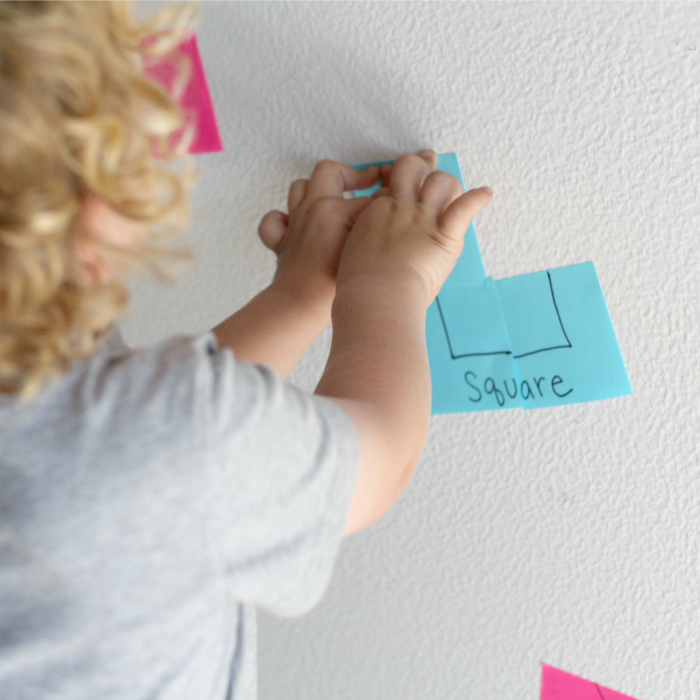 Once they’ve played with this a bit, scramble the post-its all over the wall and let your child unscramble by putting the puzzles together. 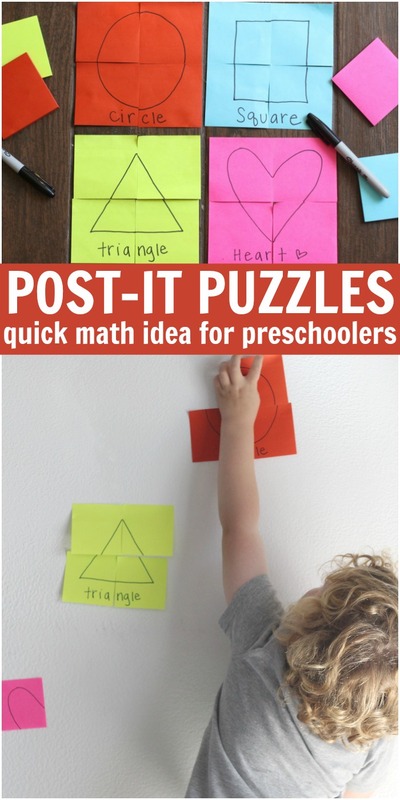 Sometimes children master these activities quickly. 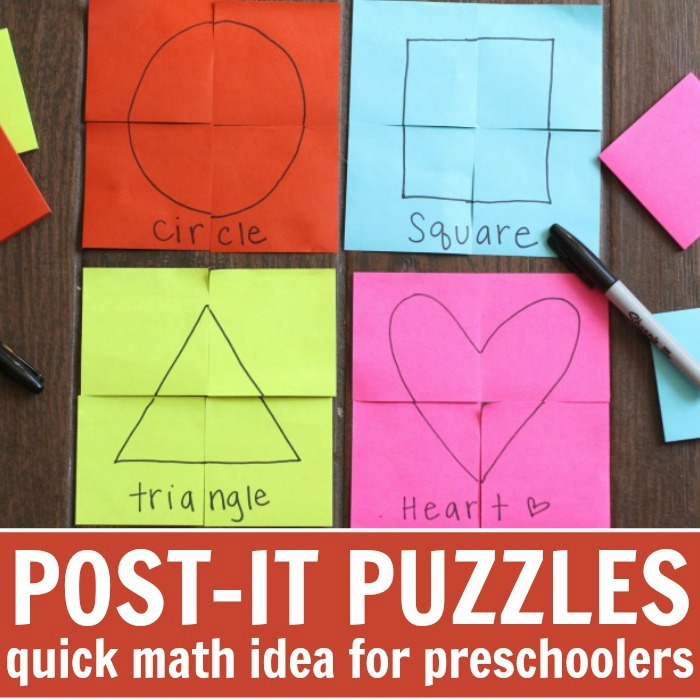 If that’s the case, try these ways to make it more challenging for your child (after giving them ample time to try the basic puzzles!). 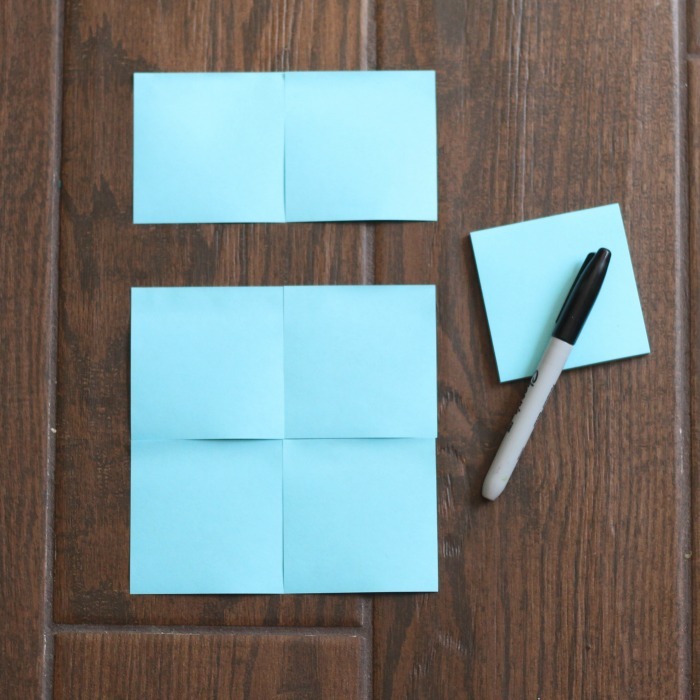 Use all of the same color post-its notes. For example, use all red post-its instead of red, blue, yellow, and pink. 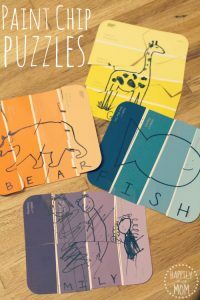 Let your child draw their own design for the puzzles. Use 6, 8, or 10+ grids for larger puzzles and designs. Remember, playful activities at home don’t have to be complicated. Follow along with us on Instagram to see more of our activities like these.